Moving with the instinct, December 10th is a day when changes are coming, when wrong turns into right and vice versa. There is a lot of inconsistency in this date, and those born on it should remind themselves that change is the only thing constant in their lives. Emotions are to flow and nothing will be held back when it is meant to leave. 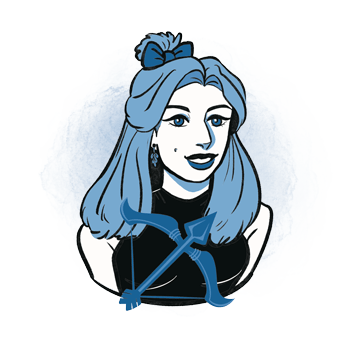 Although this can be a shady or depressing time for the Sun in Sagittarius, when one is complete with Self instead of seeking commitment from others, their purpose roles down to one point where everything makes perfect sense. Compromise is not really an option in this planetary row, and people born on December 10th are special for their ability to find the point where no side is to make compromises, for there is always middle ground to seek. They won’t understand bruises they get from relationships in the first part of their lives. They can expect breakups of romances and friendships that seem to come out of nowhere, for expectations won’t be met and some lines simply won’t be crossed. 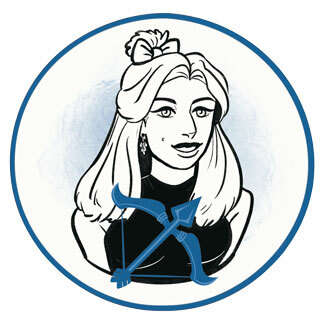 Blessed by a strong Sun in Sagittarius, they are to hold on to what they see clearly instead of believing anyone else's attitudes of judgment. Knowing the core of their personal truth, they will find the middle ground of any contact with a lot more ease, ready to interact in ways that allow both persons to exist in mutual understanding and respect for each other's interests and goals. Apart from an obvious lack of patience for tedious, grownup human nature seen here, it is quite clear that nature itself takes the wheel in these symbols, showing people just how small they are in the eyes of the Universe. Grand forces are at work and while a person might fall into an ego battle trying to prove their position in the world, they will constantly be pushed to see what their true role is, governed by higher laws than those they know among fellow humans. Protection is needed on both parts of the equation, from the collective, as well as from the fierce interaction with higher forces from a vulnerable place of authenticity. These individuals need to spend enough time alone and contemplate on risks and opportunities to stay in a safe position to act from. Calm and playful contact with their inner child makes their shield of protection vast, though simplicity that they won’t even think much about. The purpose in lives of those born on the 10th of December is seen in the essence of Saturn, Lord of the Rings, and the limiting entity that creates all unconscious circumstances and structural developments over time. It is a task to accept and embrace true faith instead of shifting with the course of any religion, in full understanding that all things happen in just the right time, planned as such by a much larger intelligence than our human simplicity. The love life of those born on December 10th may be a rollercoaster or a crash-and-burn sort of fairytale, where obsessive and jealous acts are to be anticipated, as well as deeply emotional contacts that don’t seem to have a future they’d love to plan. What throws them off their track is typically the signal that things in their life need to change, that they are on the wrong path and following imagery rather than the essence of their true personality. They need a loyal partner different from those that are many, standing out and away from those who fit beliefs fed to them since a young age. They won’t settle until they find someone to "break the rules" with if this is what's necessary for happiness. They are content and sexually awakened, never settle for things that are half-worthy or half-done and want a partner who’ll understand their absolutism instead of forcing compromise they don’t handle well. Their personal freedom shouldn’t be questioned, and while they might listen to many opinions on the "right moment to settle down" they should only do so when ready to commit to the one that feels good to be around. They are one-partner individuals even when they seem flirty or dishonest, and need someone to connect with in trust and full dedication that won’t limit their self-expression or their adventurous life. Someone born on December 10th excels in banking, loans, finances and the stock market. With their depth and investigative spirit, they make great scientists and researchers that might bring incredible information to the surface. They work best close to the ground or under it, leaving enough time for sports and physical activity, and benefit greatly from psychoanalysis and different methods of self-healing that ultimately lead to healing others. Ilvaite is a good choice of crystal for a person born on the 10th of December, helping them reach the point of patience and understanding for Self and the flow of time that comes naturally. It is a stone of perseverance and grounding, one that centers them on who they truly are and where the core of their authentic personality is. Keeping them going when things get tough, this is an excellent stone to carry along in the time of crisis, but also at any given moment when change is needed and when acceptance of our place in the world is being questioned. The birthday gift for someone born on December 10th might be a day spent with friends in an escape room, a large puzzle to investigate and resolve, or a day at a local paintball club. They may see aggressive choices as fun, for as long as they aren’t dangerous or too provocative to bruise anyone meant to be involved. Take them to an underground club, to a past life therapist or a bioenergetics healer, and give them new knowledge on abstract issues that interest them but never seem to find a way into their hands. Deep, warm individuals, highly energetic and ready for changes, they are strong personalities who work well in times of crisis and understand others when no one else seems to be able to. Dark beliefs color their world black, leaving them bruised and detached from contacts meant to inspire them. Feeling unloved, jealous or possessive, and like they have missed out on too much, they get destructive and hard to stay close to while pretending around others that everything in their life is peachy. In 1830 Emily Dickinson was born, a prolific American poet who wrote poems that are unique for the era in which she wrote. It has been argued that she lived in isolation and later in life didn’t even want to leave her bedroom, let alone greet guests. In 1957 Michael Clarke Duncan was born, an American actor best known by his role of John Coffey in The Green Mile. With a long-term desire to act, he had to circle around the idea, and dropped out of the Communications program at University because he had to support his family due to his mother's illness. In 1960 Kenneth Branagh was born, a Northern Ireland English actor, screenwriter and director, who starred in numerous films such as Much Ado About Nothing, My Week with Marilyn and others. He attributes his "love of words" to his Irish heritage. 1768 – Publishing of the Encyclopædia Britannica. 1799 – Meter is accepted as the official length unit by France. 1868 – Installing of the first traffic lights in London, UK. 1884 – Publishing of Adventures of Huckleberry Finn. 1901 – Opening of the first Nobel Prize ceremony in Stockholm. 1948 – The UN signs The Human Rights Convention.